North Peace Search and Rescue (NPSAR) is a registered non-profit society in British Columbia. We were formed in 1991 and officially incorporated as North Peace Search and Rescue Society on March 15, 1993. We have been providing search and rescue services to Fort St. John and the Northern Peace River area of British Columbia for over 26 years. Our primary function is that of a community and regional resource to assist in a variety of search and rescue functions. All of our members are volunteers and take time away from work, family and friends when called for a task. We will be adding more to our history as it is compiled. North Peace Search and Rescue's operational area is approximately 41,500 km². 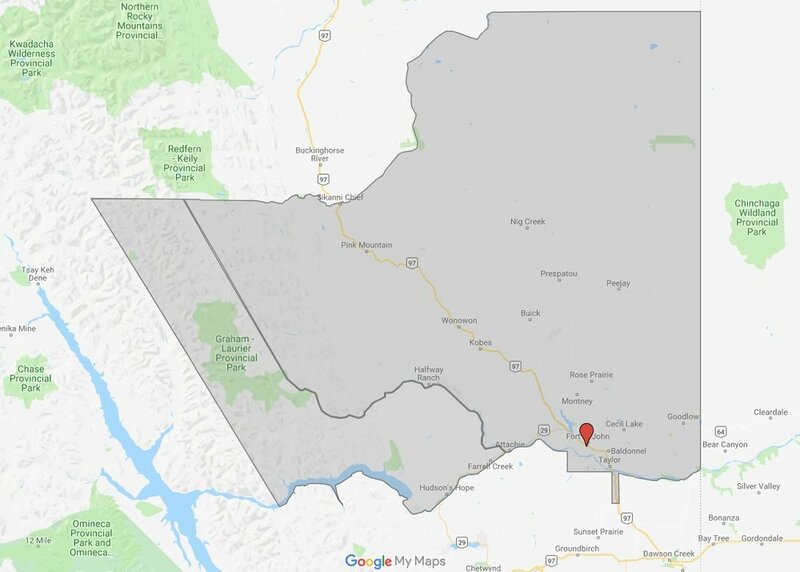 Our Northern border is just South of Redfern-Keily Provincial Park and follows the North Sikanni Chief River Eastward and then jumps out to the Alberta border. On the Western border is the Graham-Laurier Provincial Park. To the South is Hudson’s Hope, Williston Lake, Peace River, South Taylor and then Eastward on the Peace River to the Alberta border. EMBC makes weekly and yearly statistics of all search and rescue callouts available to the public.